Tavares could apply his recent track record on price discipline to Opel's operations. PARIS -- The auto racer leading PSA Group is entering the passing lane. CEO Carlos Tavares is exploring an acquisition of General Motors' European operations, a step that would vault the builder of Peugeot and Citroen cars past Renault into the No. 2 spot among the region's automakers, behind Volkswagen Group. The takeover would mark Tavares' biggest expansion after years of restructuring that included shutting a plant and freezing pay. While those moves helped him reach earnings goals ahead of schedule, he is now looking to grow. A deal also would help him emerge from the shadow of the better-known Carlos in the car industry, Renault-Nissan CEO Carlos Ghosn, for whom Tavares worked before leaving in 2013. "Tavares would be targeting economies of scale, more consolidation in the small-car market, access to key platforms and even new GM technologies," said Vishwas Shankar, a Detroit-based research manager at Frost & Sullivan. "He would also be looking to boost the image of PSA." Investors embraced the news, lifting PSA shares 4.3 percent, even as some analysts questioned the logic of doubling down in Europe's mature car market. Tavares, a native of Portugal, may be getting the benefit of the doubt from shareholders because he has given them something to cheer about since taking over at the start of 2014. In that stretch, PSA shares climbed 140 percent, compared with a 66 percent gain at Renault and a 20 percent slump at VW. Tavares declined to comment for this article. A PSA spokesman said Tavares plans to meet senior German officials in the near future to discuss the possible acquisition Opel. Tavares "intends to meet with Opel's stakeholders in Germany," the spokesman said on Wednesday, without giving any timetable for the talks. Tavares may meet German Chancellor Angela Merkel as part of those discussions, he said. The French carmaker and GM are discussing numerous strategic initiatives, including the possible sale of Opel to PSA, the companies said on Tuesday, adding there is no assurance an agreement will be reached. The U.S. manufacturer is seeking a multi-billion dollar amount for Opel, which also operates UK sister brand Vauxhall, according to a person familiar with the matter. Tavares, 57, has never hidden his ambitions. While serving as Ghosn's right-hand man, he told Bloomberg that since he couldn't get the top job at Renault, he wanted to run GM or Ford Motor instead. Two weeks later, Tavares stepped down after more than 30 years at Renault, where he started as a test-driving engineer. A few months later, he joined PSA, which was staggering after the sovereign-debt crisis hit car sales in Europe. Many at PSA welcomed Tavares as a real car guy, contrary to his predecessor Philippe Varin, who hadn't worked in the industry before joining Peugeot. Tavares has a racing team named after his daughter Clementine, one of his three children, and participates in the storied Monte Carlo classic car rally each year in a vintage Peugeot. 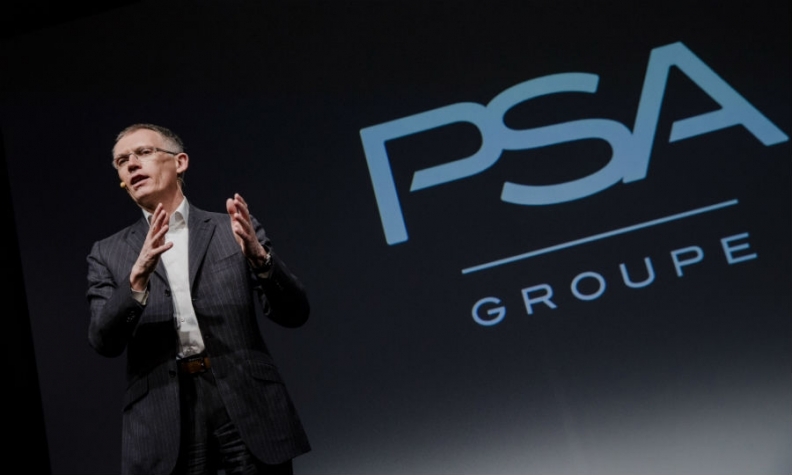 At PSA, he built a reputation as a cost cutter, like Ghosn, and as a meticulous professional. "If I have only one thing to say to define Carlos, it's the cult of performance," said Franck Don, a representative for the CFTC union at the automaker. "That’s what he taught PSA." While that helped bring the company back from the edge, it didn't prevent Renault from overtaking PSA as Europe's second biggest carmaker last year. PSA's global deliveries were 3.15 million vehicles in 2016, compared with 3.18 million at Renault and more than 10 million at Volkswagen. In April, Tavares said it was time for PSA to move beyond the revamp and into growth mode. PSA accelerated its expansion abroad. This included a new plant in China with Dongfeng Motor Group, which acquired a 13 percent stake in the carmaker as part of a bailout with the French state in 2013, and an agreement with an Indian industrial group to build and sell cars in that country. He also plotted a comeback to the U.S., starting by offering car-sharing services. Tavares could apply his "recent track record on price discipline" to Opel's operations, Goldman Sachs analysts wrote in a note. Opel isn't profitable, even after years of squeezing out costs and upgrading its lineup. The acquisition also could help PSA make up for lost ground on research and development spending, where it's lagged behind rivals in recent years. "There are some unresolved issues," said Bertrand Rakoto, an independent automotive analyst based in Detroit, "mainly its weak investment capacity."